OK: we know you’re pretty perfect just the way you are. But what if you were, say, just a little bit different? What if you had a tiger’s teeth? Or a bear’s shaggy fur? Or an elephant’s massive hooves? These witty and imaginative books combine fun animal facts and photos with imaginative flights of fancy where you can put your laughter muscles to work. 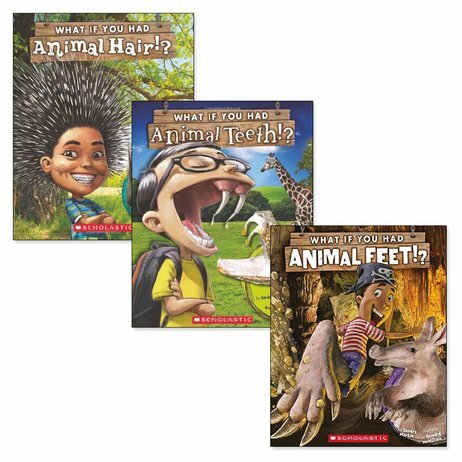 In cartoon pictures and imaginary scenes, see what it might be like to scare bullies with a porcupine’s spines, or bite into your lunch with a shark’s powerful jaws!